Proudly providing used auto parts in NJ since 1983, All American Auto Salvage is your go-to destination for used parts at the best prices. Our tri-state area auto salvage yard makes it easy for you to find the parts you need to repair or restore your own vehicle or to complete necessary services for your auto repair business. All American Auto Salvage carries all the used auto parts you need; we have body panels, engine components, transmission replacements, and so much more. We’re committed to providing high-quality reclaimed used auto parts for our clients throughout New Jersey, New York, and Connecticut, and we offer a full range of vehicle parts for individuals and auto shops alike. 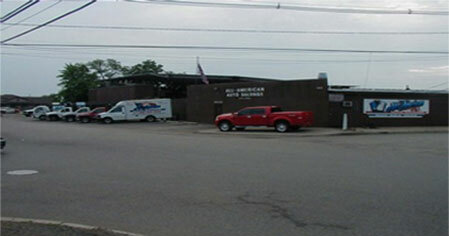 Can’t make it to our tri-state area auto salvage yard in Rahway to pick up the used auto parts you need? No problem! In addition to keeping thousands of used auto parts in stock, we also deliver used auto parts in NJ and Staten Island with our large fleet of delivery vehicles. We can bring the parts and equipment you need directly to your yard or repair shop. We also have drop yards we can bring the parts to so that those in New York can easily pick up what they need. Our friendly, knowledgeable, and experienced staff is always available to answer questions or help you track down parts that will fit in your car or truck. All American Auto Salvage wants you to be totally satisfied with your used auto parts when you receive them. To that end, we provide a thorough inspection of all our parts before selling them to you through our quality control program. The program ensures that the components you buy from our auto salvage yard are of the highest quality possible, and it allows you to get your vehicle repaired quickly and back on the road sooner rather than later. You can have complete confidence in the used auto parts you purchase from us when it comes time to install them in your vehicle. Family owned and operated for more than 30 years now, All American Auto Salvage is a proud member of the American Recyclers Association. We’re ready to help you find the used auto parts in NJ you need. Stop by our tri-state area auto salvage yard in Rahway to see our parts for yourself or call us at 732-574-1945 to find out if we have the used auto parts you’re looking for right now.